I'm going through old designs and came across these circuits for Electrolier (Summer Night), 2013. 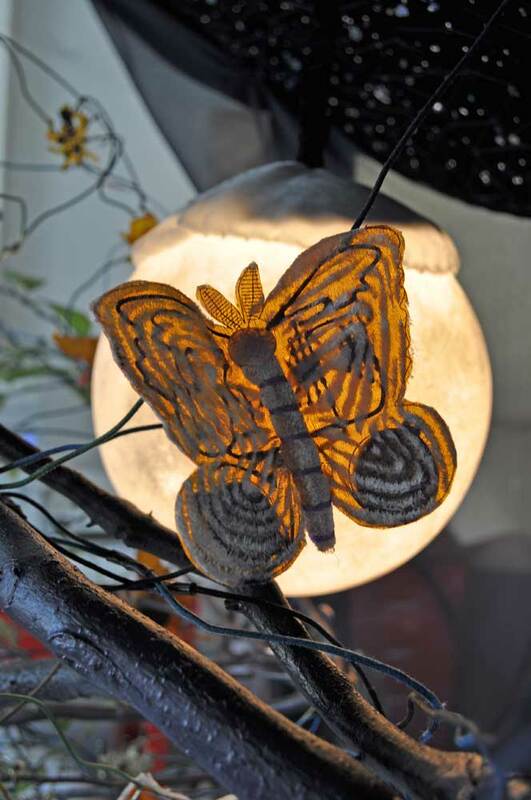 These fictional moths are made from a flexible PCB material (backed with decorative velvet). 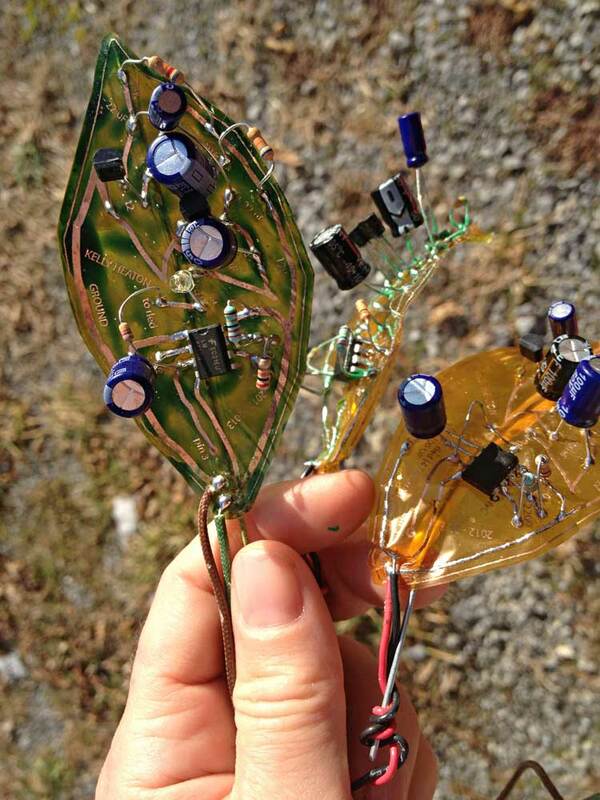 I built analog electronic circuits to generate the sound of insects at night. One of the photos shows the leaves that I built with blinking fireflies.